When I was a senior in college, I was the teacher’s assistant for Profiles in American Enterprise. The course brought in different CEOs to speak to the class. As the teachers assistant, I was one of the individuals who were tasked to write a book about the respective industries and the companies the CEOs represented. One CEO in particular said that we should all create a personal balance sheet and we should take one week off a quarter. I will not go into your vacation calendar year, but I will discuss creating a personal balance sheet. Your personal balance sheet enables you to become more aware of your net worth and the factors that impact it. I use the personal balance sheet to monitor where I am going. We frequently think of increasing our wealth by adding more assets. You can do that in two ways: save more money from your income, or invest in items that eventually go higher in value. There is a third way. You can pay off debt. Paying off debt has two positives. First, it reduces the lead weight that is dragging down your net worth and second, it reduces the interest payment you have to pay each month and therefore can save more to increase your assets. 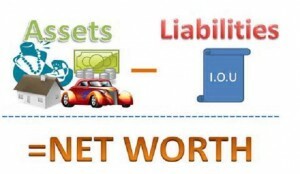 Your net worth or how much you value is the difference between your assets minus liabilities. That is how much you own less how much you owe. Liabilities include what you owe to the credit card, loan on an automobile, your college loan or your mortgage. Your assets or what you own is broken down into current assets, long-term securities (retirement accounts), real estate, personal business (if you are a business owner or entrepreneur) and personal property (jewelry, art, and cars). I recommend updating the personal balance sheet once a year. When I update the sheet I track two things: (1) the net worth and (2) the assets’ growth. 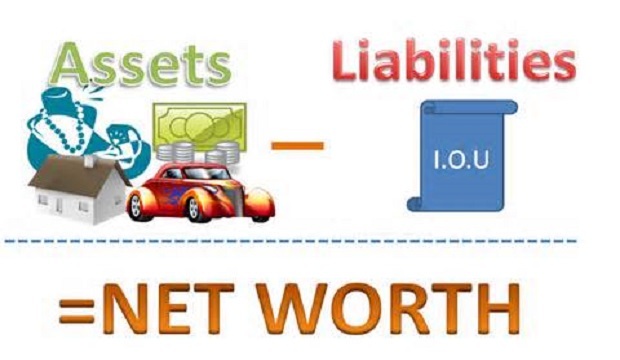 Net worth is the difference between the assets minus liabilities. If this is growing, my wealth is growing. The second item is the value of assets. This shows if what I am investing in is growing. Tracking these two things over time provides you a picture of where you are presently and where you are going. I only recommend updating your personal balance sheet annually, or when assessing a decision about a big investment or paying off debt. Otherwise, you’ll get caught up and concerned about your wealth going higher or lower. What you will have to do is collect all the year end statements for all the items you own. Assessing the personal property might be difficult; you will have to create a guestimate for the value of the cars, jewelry and art. Second, to value your house you can probably use Zillow.com. Be careful. The more unique or out of the way your home is, Zillow may not accurately get your home value correct. You have now created an accurate depiction of your financial situation. In my next article, I will write about how your net worth likely changes in your 20s ,30s, 40s, 50s, 60s, 70s, and 80s by using the personal balance sheet. Tracking your net worth is helpful and easy to do. You will also get some satisfaction in knowing you are on the right track.